Our luxury canvas cabins are a safari type canvas enclosure on a wooden deck and are equipped with luxurious bedding and unique furnishings carefully placed by our team to ensure your utmost comfort and relaxation. Each cabin features a plush king bed with deluxe bedding, electric fireplace, microwave, mini refrigerator, coffee maker, an outdoor private deck with chairs and outdoor grilling area with gas grill and side range cooking area. 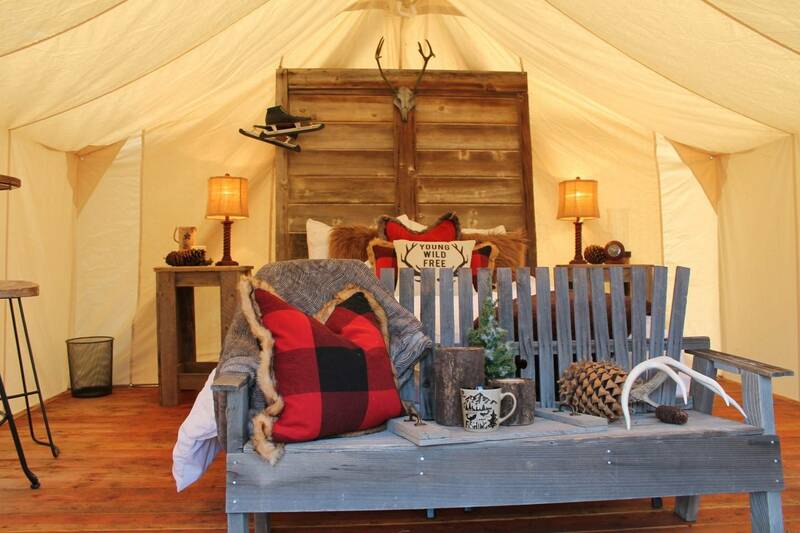 Each tent is spacious and uniquely themed and enjoys breathtaking views of the either the creek and cedar trees or majestic mountain views.